WordPress 4.4 Clifford has been just released! You can now download and update your websites to WordPress 4.4 from your dashboard. Keeping up with the naming conventions, WordPress 4.4 is named after Jazz..
It’s highly recommended to set up 301 redirects in WordPress if you change the URL (permalinks) of your posts and pages, or move your WordPress website from one domain to another. If you are changing the URL..
How to disable post embeds for your WordPress blog? One of the major features that the recent release of WordPress version 4.4 introduced is the ability to embed WordPress posts. Your blog posts from a WordPress powered website can now be embedded in other.. If you are into WordPress development, I am sure you should have heard of Atom. Atom is an open source text editor from GitHub. The flexibility of this text editor is attracting several developers and..
How to enable the Get Shortlink Button in WordPress Editor? After upgrading to WordPress 4.4, you might have noticed that the Get Shortlink button has been removed from the WordPress editor. The Get Shortlink button along with the View Post button has been removed in..
Embedding source code in WordPress isn’t an easy task. Although few plugins have tried to simplify this task of sharing and embedding codes, it’s easy to get the code messed up with other text and content in..
We all know that data adds credibility to stories but presenting data in meaningful ways is a huge challenge for web publishers. Also, finding data and visualizing them can be seriously time-consuming. We..
Learning WordPress is easy. The only problem is finding the right place and the right tutorials to get started. As WordPress is frequently updated, most of the beginner tutorials on several websites might..
How to Build WordPress Theme in less than a minute? Think building WordPress themes is tough? 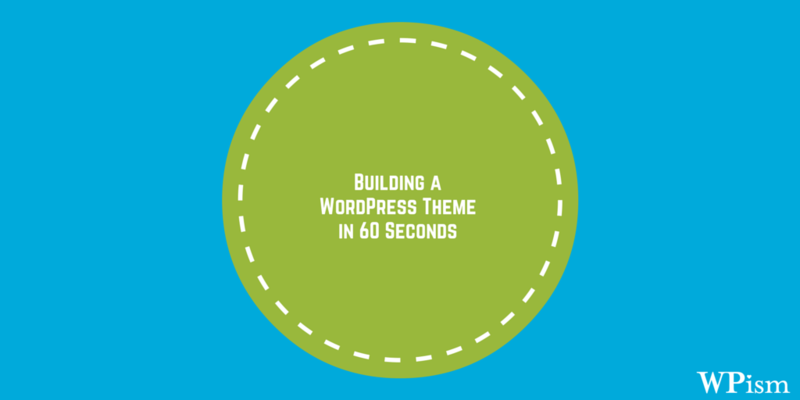 Well, a video from 60 seconds series on Tuts+ introduces you to how to build a WordPress Theme in less than a minute. That’s right, building a complete basic.. Learn why your WordPress RSS feeds are important and how you can enrich your RSS feeds by adding featured images from your posts. RSS feed of your WordPress blog is required for several popular applications..